Hi, with Valentine’s Day rapidly approaching you may be wanting to make a card for your loved one. Today’s card is one which you can whip up very quickly – and it looks lovely! 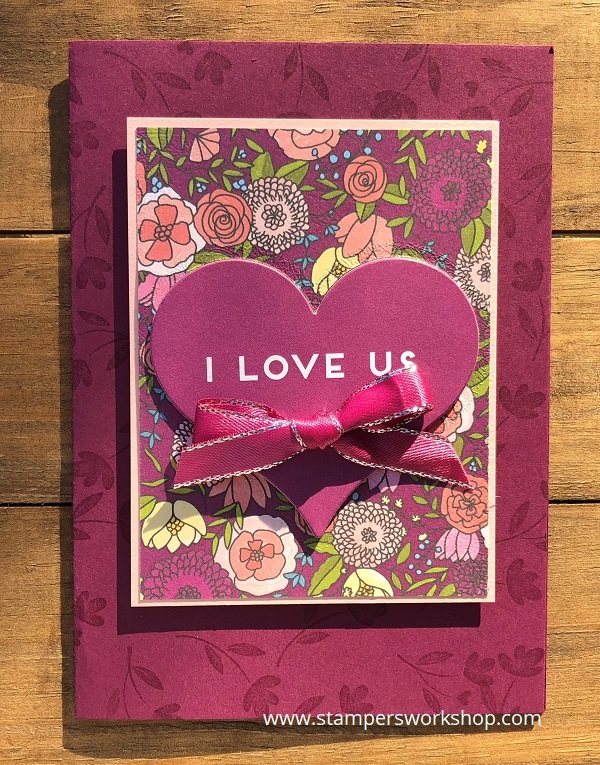 I used the Sweet Soiree Memories & More Card Pack which you could earn for free, with a qualifying order, during Sale-A-Bration. I love the Memories & More Card Packs for cardmaking. In fact, I use them more for cardmaking than I do for scrapbooking. They make it so easy to make gorgeous cards. For today’s card, I picked out one of the 7.6 x 10.2cm cards from the Sweet Soiree Memories & More Card Pack. I placed a heart die from the Sweet & Sassy Framelits Dies set over the “I Love Us” sentiment before running it through the Big Shot to cut it out. Next I added adhesive to the rest of the card and added it to a panel of Powder Pink cardstock. So, yes, it is the one card! I just flipped the card over to get the pattern. Isn’t that awesome! I put Stampin’ Dimensionals on the back of heart piece and placed it back into the same place I had originally cut it from. I stamped some flowers (from the Hedgehugs stamp set) over the Rich Razzleberry base card and then attached the decorated panel to it using some more Stampin’ Dimensionals. To finish off the card, I tied a bow using the gorgeous Berry Burst Metallic-Edge ribbon. I did trace the sentiment with some Wink of Stella but I really don’t think it needs it. (Apologies for the golden tone of the photograph. The sun was gorgeous this evening but not so good for taking photographs, it would seem). 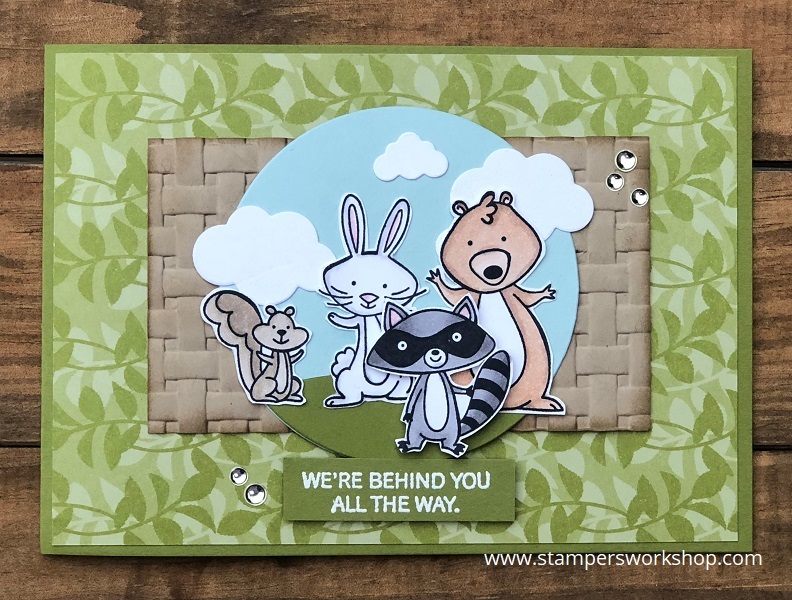 You could easily apply this technique to many different Memories & More cards or you could simply lay down some patterned paper and apply a die cut to the top. So many ideas! I hope you’ll give it a try!